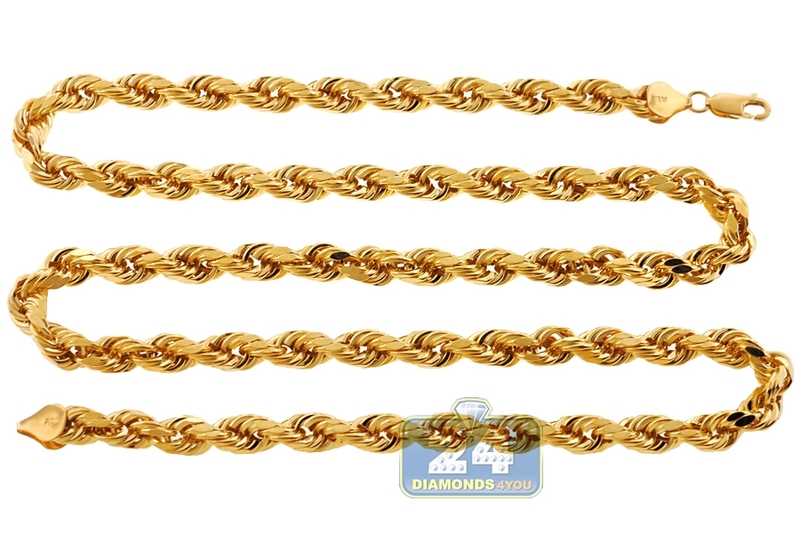 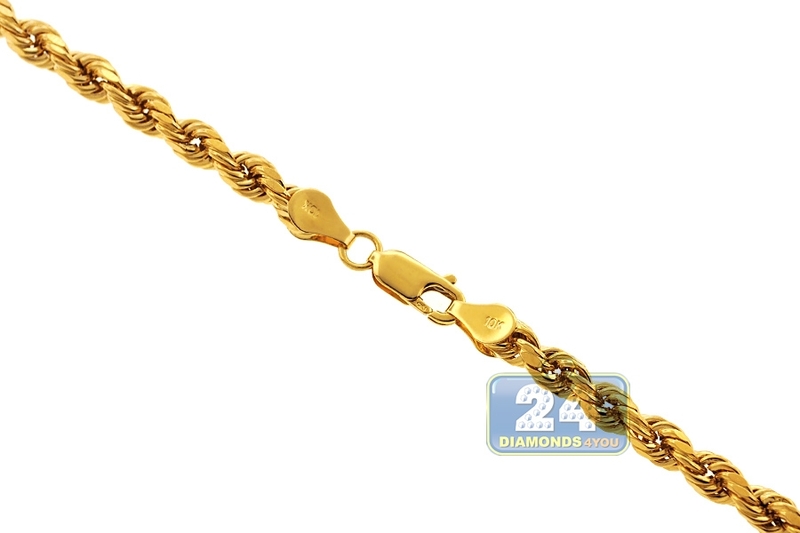 10K Yellow Gold Diamond Cut Hollow Rope Chain 6.5 mm 26 28 30"
With a dimensional hollow design, you will find yourself going to our classic rope chain time and time again! It's gorgeously crafted in Italian 10k yellow gold, and features diamond-cut pattern for high sparkling. 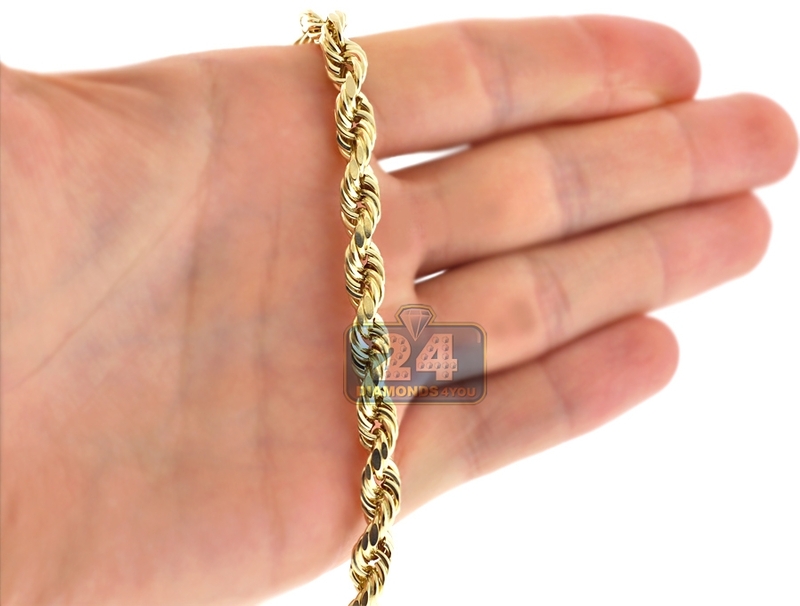 It measures 6.5 mm in width, and comes in length of 26, 28 or 30 inches in length. 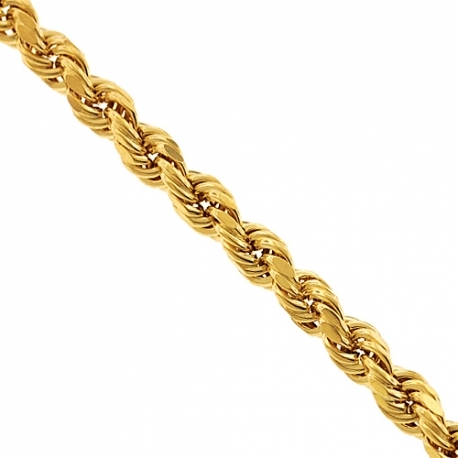 The piece is secured with comfortable lobster claw closure. 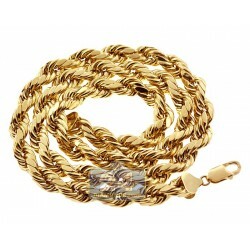 Add a stylish detail to any outfit wearing this men's gold necklace! 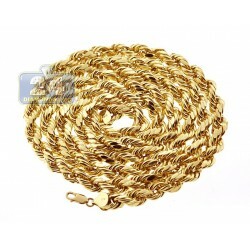 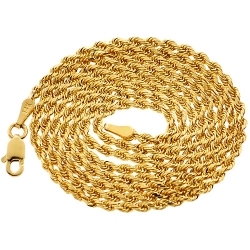 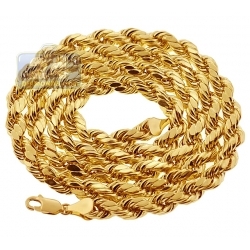 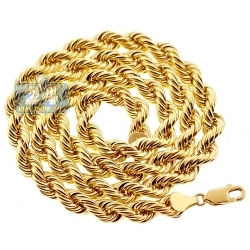 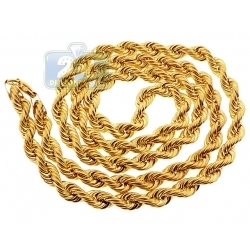 I'm reviewing 6.5 mm 26 inches rope gold chain which is well-received, exactly as described by the vendor. 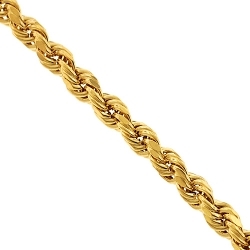 I measured it as well with my electronic ruler, true to size. 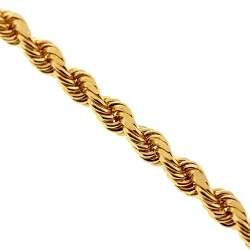 As well as it was tested with acid. 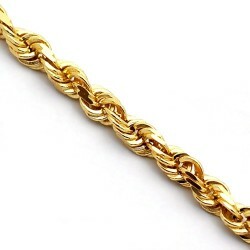 I've been wearing the rope for about 1 month from now and it has not tarnished so far and is not supposed to.